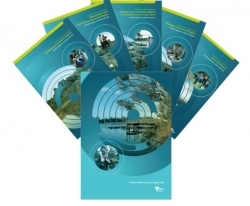 Melbourne Water are delighted to announce the Healthy Waterways Strategy (2018-2028) and Co-Designed Catchment Programs have been approved by the Minister and are now available. The release of the Strategy represents the culmination of over two years of collaborative work between more than 600 people and 220 partner organisations across the Melbourne Water's area of operation. Visit YourSay to read the Strategy and the Co-Designed Catchment Program for your region and to find out how you can be involved in the co-delivery.